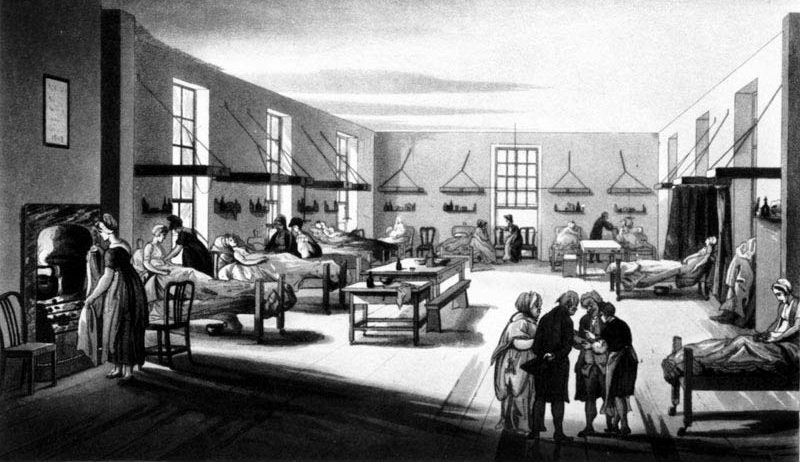 Ward at the Middlesex Hospital, London, early 19th century. John Snow's contributions during the early years of inhalation anesthesia, and his investigations during two mid–century cholera epidemics in Victorian London, are landmarks in anesthesiology, epidemiology, medical cartography, and public health. The John Snow Archive is primarily an archive of Snow's published writings—most appearing in medical journals—as well as recorded presentations and comments at medical society meetings between 1838 and his death in 1858. It also contains selections from writings by some of Snow's contemporaries on the same topics he addressed.